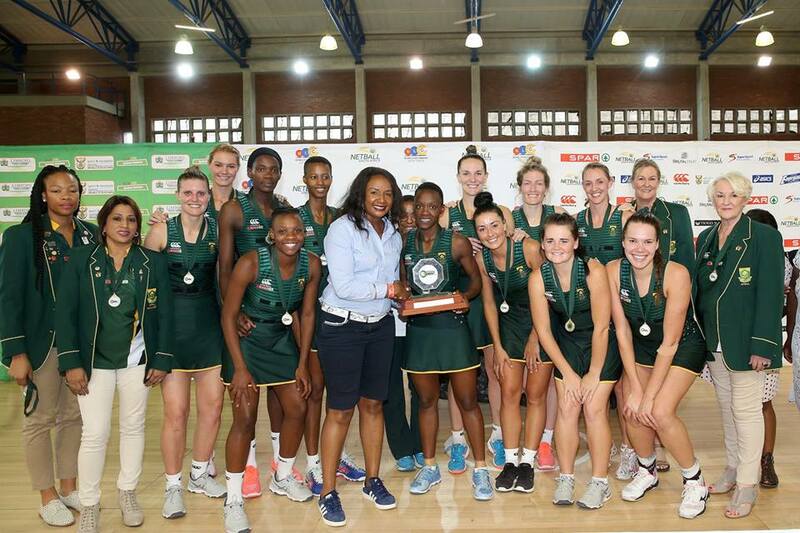 The SPAR Proteas sealed the defence of their Diamond Challenge netball tournament title in style this weekend with a 73-44 victory over Zimbabwe at the Ngoako Ramatlhodi Sports Complex in Polokwane. The week-long tournament witnessed the Proteas dominate the tournament from start to finish. Despite being given a tough challenge by Zambia on Friday and Zimbabwe on Saturday, the Proteas managed to win all their matches by more than 20 goals. In Saturday’s encounter, Zimbabwe fought hard from the start and put up some decent defence, but the Proteas still managed to notch up a 17-9 lead by the end of the first quarter. The Zim defence stood solid throughout the game, but mistakes started creeping into their mid-court play, meaning that the turnover count kept rising thanks to an outstanding performance by Proteas goal defence Karla Pretorius. 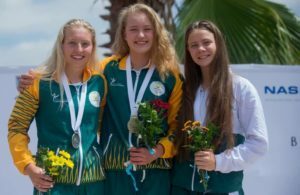 At half-time, on 34-18 after a repeat of the first quarter scores, and while the third period was a far closer one –17 goals to 15 – the Proteas ran away with it in the final 15 minutes. They earned turnovers with regularity and were too quick on the counterattack for the Zimbabweans, opening up the winning margin to 29 goals. Proteas head coach Norma Plummer was happy with the strong finish, with the Proteas using this tournament to prepare for next year’s Quad series, where they will face opposition such as New Zealand and England. ‘I put the girls under a lot of pressure because I was introducing different strategies and tactics for them, and I wanted them to implement them on court. Some of it came off really well, some struggled a bit. I’m trying to make them self-sufficient in pressure situations and I’m satisfied where they are now ahead of the Quad Series, where the games will be five times more difficult,’ Plummer commented afterwards. Meanwhile, earlier in the day, the SA President’s XII claimed a 58-35 victory over Botswana to finish the tournament with four wins out of five matches. Botswana’s confidence levels had clearly been boosted by their first win on Friday against Namibia, and they came out firing. Both the first and second quarters were tighter than the South Africans had probably anticipated. The first quarter finished on 13-9, and after both teams scored another 13 and nine goals again in the second quarter, half-time was reached on 26-18. Botswana looked to be letting it get away from them a bit it in the third quarter, but held on to keep the margin to 13 goals on 40-27 by the final break. By the fourth quarter the intensity from Botswana had flagged, and some key changes saw the President’s XII finding their groove to open up a significant gap and finish the game well ahead. 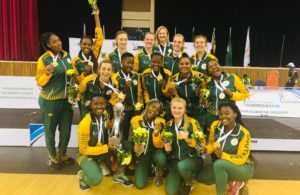 Khomo added that given a taste of international exposure, her players were more determined than ever to make it into the senior national team. ‘The girls have been phenomenal the whole week. I’ve just been saying what an honour it’s been to captain them. They’re really motivated. Everybody is there for one another. The confidence is there and the girls definitely want to make it into the Proteas team in the future,’ she added. In other matches, Zambia claimed their third win of the tournament with a 68-36 victory over Namibia’s Desert Jewels, who will head home without having tasted success in Polokwane. As a result, the Zambians finished in second spot in the tournament, with Zimbabwe taking the bronze medal.